Our mission to end child abuse cannot be accomplished without the resolute support of our community. To commemorate this group of dedicated pillars of our community, we invite you to join our Superhero Society. Our Superhero Society is an elite society of philanthropists in the Hudson Valley who have joined forces to ensure every child in our community is safe, protected, and loved. The Center for the Prevention of Child Abuse provides life-saving services: critical prevention programming, intervention services, and treatment and referrals for children who have suffered horrific abuse. 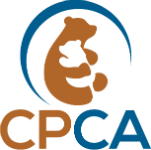 By supporting The CPCA, you will directly impact the lives of thousands of children this year.